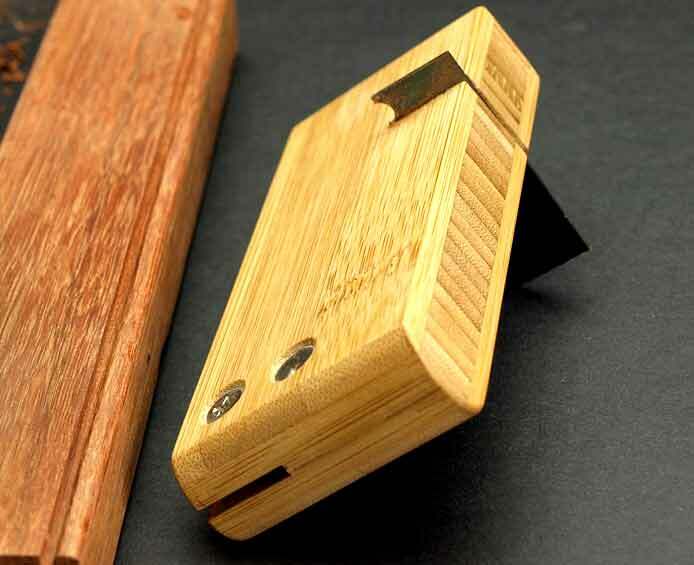 These are an interesting concept as found by the Roving Reporter, from Easy Wood Tools. It is a concept I have seen elsewhere, but these look a well refined solution. Each has a carbide tip, so sharpening on the fly is not necessary, as the tool dulls with use, rotate the cutter, and finally replace it. Of course, if you have the Tormek Sharpener with the Blackstone Silicon wheel, then you can resharpen the carbide cutters. Haven’t seen these in person, so I don’t know how they shape up in reality, or how they would compare to my Hamlet chisels for example. 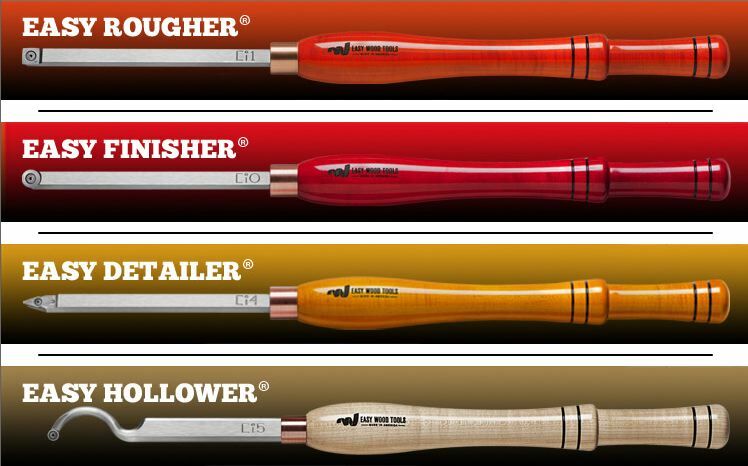 Although carbide cannot be sharpened to the same degree as tool steel, in practice most wood turners don’t sharpen their chisels to the nth degree in any case, and the long durability of a carbide edge has a lot of appeal. Steel. Perhaps a strange topic for a woodworking site, but then, so many of our tools, and particularly the sharp edges that actually work the wood are made from it, so it is useful to know a bit about it. In the near future, I will be doing an exposé on all things sharpening, so getting to know steel is really the start of that process. There are many, many versions of steel. Steel is not an element, but a compound of Iron (Fe) and Carbon (C) (and is actually called an interstitial solid solution, as the carbon atoms fit into the gaps in the Iron atom structure). In addition, you can add other metals into the one material, which is called alloying, and there are a huge variety of steel alloys out there with all sorts of different properties. I’m going to pretty much ignore the alloys at this point, and just focus on carbon steel. Now carbon steel is just not a bunch of Fe atoms in a grid, with the carbon atoms in some of the gaps throughout the material. If this were the case, the concept of heat treating, tempering, quenching etc wouldn’t have any effect. What there is in fact, are areas of pure Iron (called a-iron or ferrite) then others which are a combination of Fe and C, which is iron carbide (also known as cementite), and is not a discrete molecule, but a crystal lattice containing iron and carbon atoms in a ratio of 3:1, written Fe3C. Back to steel. Carbide, as we experience it as woodworkers is generally tungsten carbide, a very brittle, very hard material that is used for producing durable cutting surfaces. Iron carbide (cementite) is similar, hard, but brittle, and if in the right amount gives steel a real edge over pure iron (sorry about the pun). So what happens when we take our molten steel, and cool it to form our chisel or plane blade? If we let it cool slowly, it will have time to form the normal structures, and will be our basic steel – machinable, hard, but nothing special. It will have (and this depends on the % of carbon) grains of pure ferrite, then others that are a mixture of ferrite and iron carbide. It is these grains that are a mixture that give steel its ability to be heat treated (ok, gross generalisation). As these grains form, they produce a lamellar (plate-like) mixture of ferrite, and carbide, known as pearlite. The steel at this point can be cut, ground etc, to form the desired shape for the plane blade, chisel etc. The steel is ok, but not tough enough or hard enough to be used for a cutting edge. That’s where heat treatment comes in. The steel is then reheated, but not to melting point, held at the required temperature, and then cooled quickly. If you cool it slowly, you form coarse pearlite, which isn’t very hard, and therefore not useful (for us). Cool it quicker, and you get finer pearlite (ie smaller, thinner, and more platelets of carbide). This is harder and stronger material. If you cool it even faster (quenching), you form a new structure, called martensite. Martensite is supersaturated with carbon, and the change to the iron lattice means the atoms can’t slip over one another easily so the material is very brittle and very hard. The faster you can cool the steel, the more martensite is formed (and the smaller the individual grains). Although this transition to martensite happens very quickly, not all the material can get there in time, and retains the original structure. To force more of this to martensite, we need to cool the steel even further, well below room temperature, and is called cryogenic treatment. So now we have an extremely hard, brittle tool steel. (Yeah, I’ve generalised heaps here, but you get the jist). The structure is good – we have a very fine grain structure, but we need to ensure that there is sufficient ductility in the steel, so it can survive being pounded by a hammer into hard wood! (In other words, we want it hard, but also tough). This is done by tempering – reheating the steel until we get just the right combination of ductility and hardness, and the result is called tempered martensite, an ideal combination of toughness and hardness in our resulting tool. The brittle martensite is transformed into a fine dispersion of iron carbide particles in a tough ferrite matrix. The carbide stops dislocations and slips in the structure (so the material can’t shear and fail, ie making the material hard (and is not unlike how the atoms of an alloying material help make a material hard)), and the ductile ferrite can deform locally, arresting any cracks that try to form in the structure (so the material is less brittle). Thus we have a blade, hard and tough, with a very fine grain, ready to be sharpened to a mirror finish (and if you have 2 surfaces that are so flat as to be mirror-like, meeting at an edge, that edge will be razor sharp).